The static pallet storage racking can be converted into carton live storage (CLS) with the help of LeanTek Under Pallet Flow Racks. 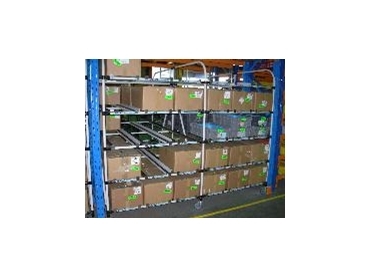 A traditional pallet rack bay limits access to four pallets of product. By adding Trilogiq Australia ’s Carton Live Storage modules, the same space can provide access to 10 to 30 products. This increases product density and reduces the walking required for picking operations. Trilogiq Australia’s Under pallet flow rack modules are a simple and flexible way to add Carton Flow to existing pallet racks.